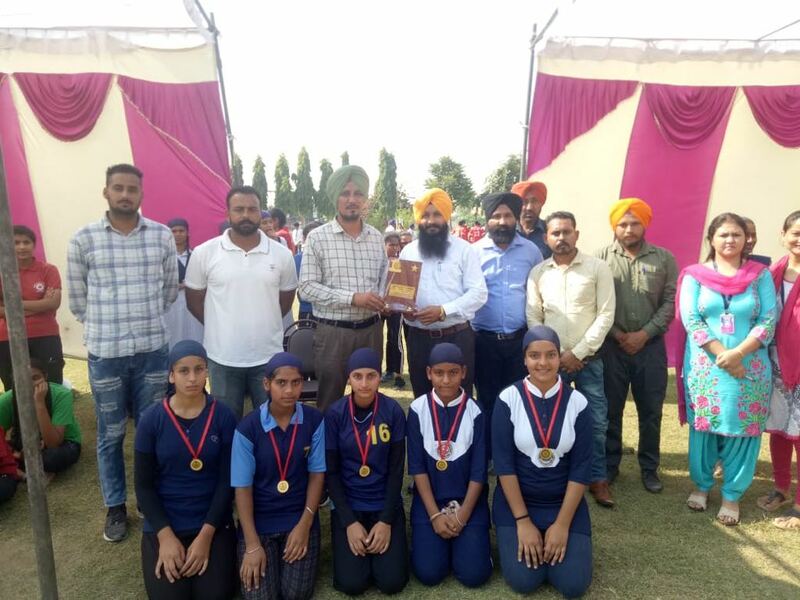 Details: Amrit Indo Canadian Academy lasses stamped its invincibility in LSSC(W) Volleyball championship by lifting the U-17 Girls trophy held at Baba Isher Singh Baba Kundan Singh School Jhorar(Raikot).The Girls set the court on fire with powerful Smashes &skillful volleys. They defeated Peace Public School in finals (25-16),(25-14) in a one sided affair . Ten schools across Ludhiana District competeted for the trophy.This was the second consecutive championship victory for the Amritians. The school Principal Mrs.Jaskiran Kaur had all the praise for this stupendous performance.S.Harminder Singh ji (President Amrit Educational Society) in his motivational speech emphasised that such victories set a bar for their fellow beings to leap forward.